You didn't get into business to chase payments. BPAY helps you send bills, collect funds and pay suppliers faster and more efficiently. We offer a complete range of services to make and collect payments, with advanced features to simplify payments and reconciliation. BPAY is not just for large businesses. Join over 45,000 leading businesses across Australia who have already discovered the simplicity and convenience of receiving and managing payments with BPAY. Simply register as a biller with your financial institution, then add the BPAY logo, your Biller Code and a Customer Reference Number (CRN) to every bill you send. The CRN is a unique number generated by your business, to help you easily and automatically track and reconcile every bill and bill payment. You can create valid BPAY CRNs using our online tool, or speak to your financial institution to help you generate CRNs. When a customer pays by BPAY, you’ll have the money in your account on the next Banking Business Day^, together with an electronic payment file for easy reconciliation. BPAY is not only fast and secure for your customers, it has real benefits for your business too. BPAY helps reduce administration and keep overheads down, with daily payment files delivered online. So your staff can spend less time managing your receivables and more time focusing on core business activities. 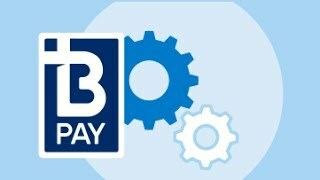 BPAY can assist you in the promotion of BPAY and BPAY View to your customer base. View our Marketing Support page for more information.